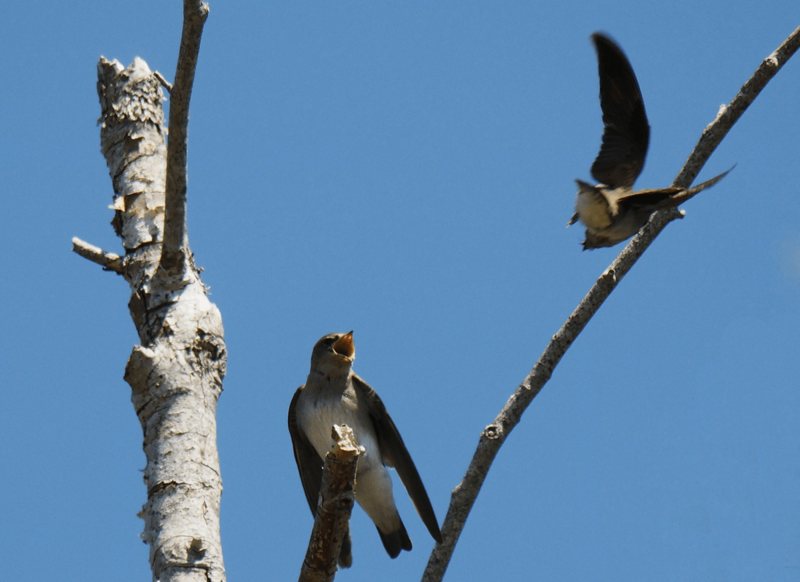 Taking a walk at Muir Creek yesterday I was privileged to see a Northern rough-winged swallow feeding young. 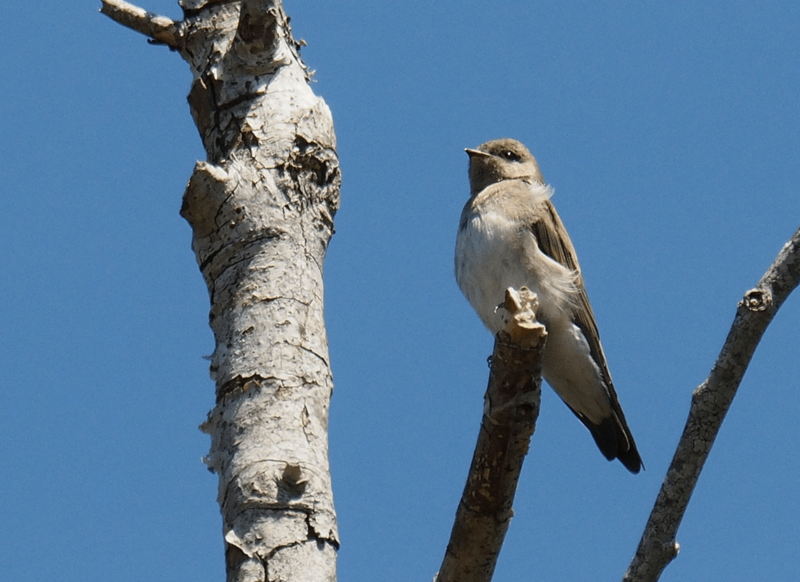 Hearing a lot of chattering I looked up and there was a Northern rough-winged swallow that had apparently fledged as it was no longer in the nest but was still requiring the parent to feed it. 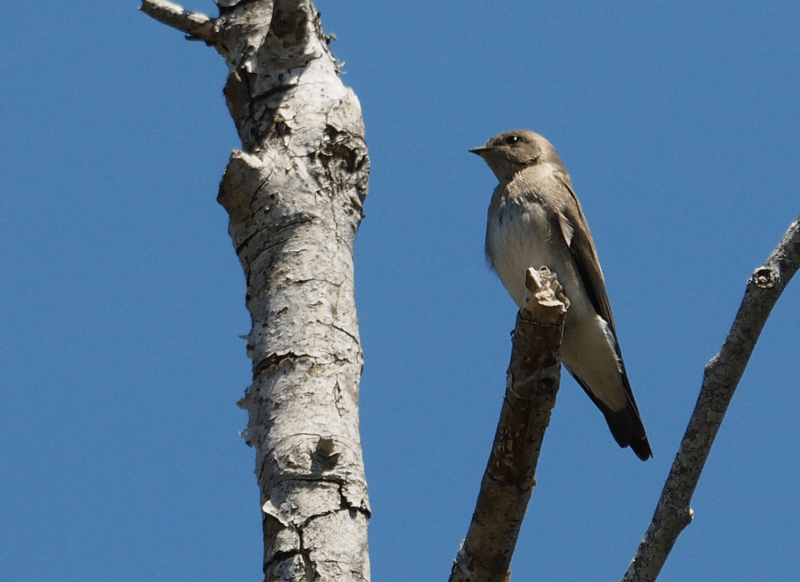 I don’t often see the rough-winged swallow as normally it would be a barn swallow or a violet-green swallow. They seem to be the most common in this area. 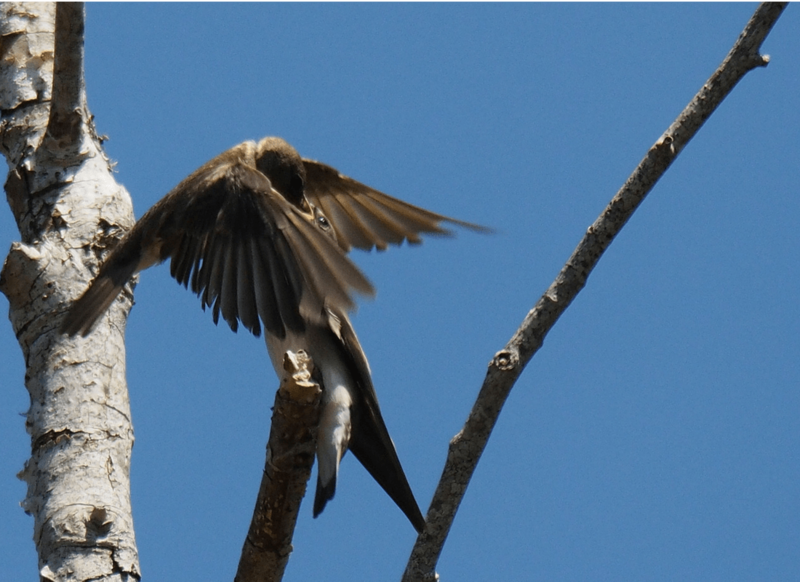 So I was very excited to not only come across the rough-winged but to actually see it being fed. Here is an uncropped picture so you can see how high it was up in the tree from from where I stood on the ground. Wished the bird was lower down, but when you are photographing birds, sometimes you have to take what you get. When cropping the picture, you are able to see the colours and the features a little more clearly even though you are still looking up at them. The juvenile would sit perfectly still waiting and then all of a sudden it would start to vocalise and fluff up. Its wings would start to flutter like it was trying to fly on the spot and it was then you knew that the adult was coming. There were a lot of swallows flying about, so it’s amazing that they know when the food is coming just for them. In the picture below it looks like the parent is flying away, but in actual fact is was coming to the juvenile in a round about fashion. 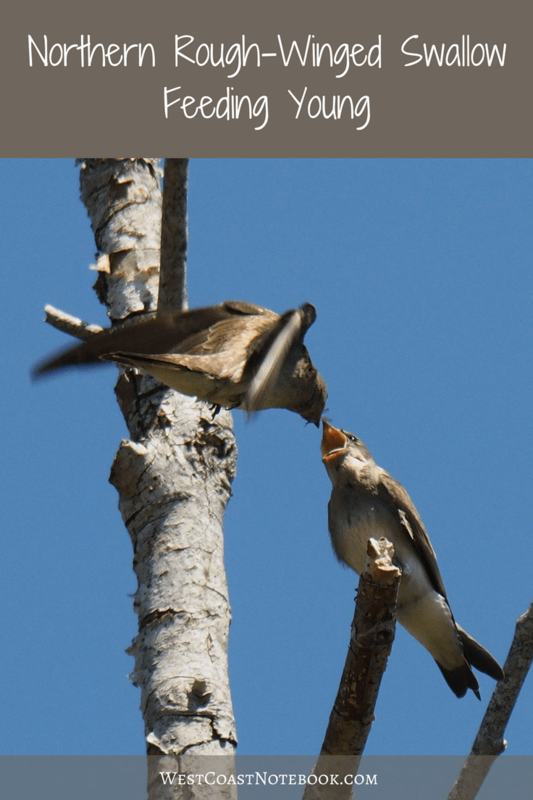 You can see the young bird assuming typical feeding position with mouth open and wings fluttering. It’s just like a small child wanting to be fed and they are so demanding. The parents are kept busy at feeding time which appears to be at all times. The parent is coming in with a bug or dragonfly and what I found fascinating is that even though the juvenile is perched the parent is on the fly. I never saw it take a rest all the time I was watching. It would just get a bug and do a fly by the baby feeding on the wing. I had my camera on burst mode so these pictures were taken as fast as my camera would take one shot after another. 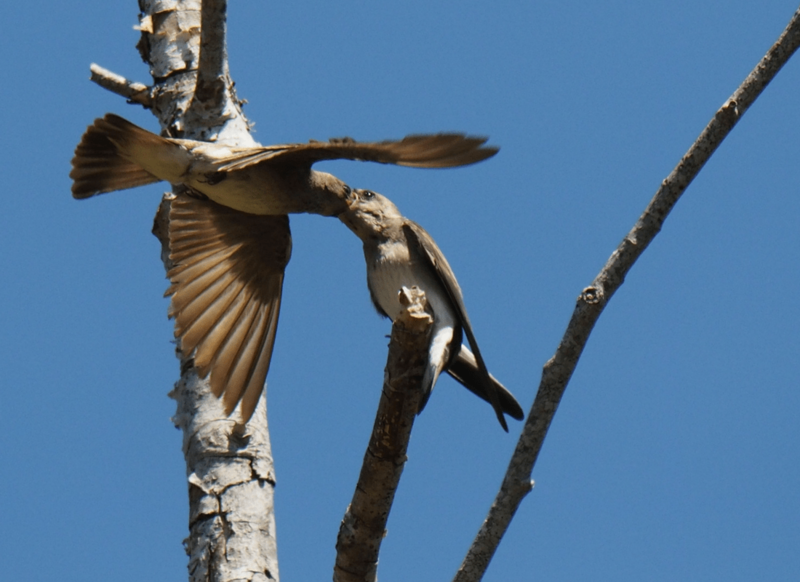 In the picture below the parent is just pulling out and I love how you can see the young one’s eye over the wing. 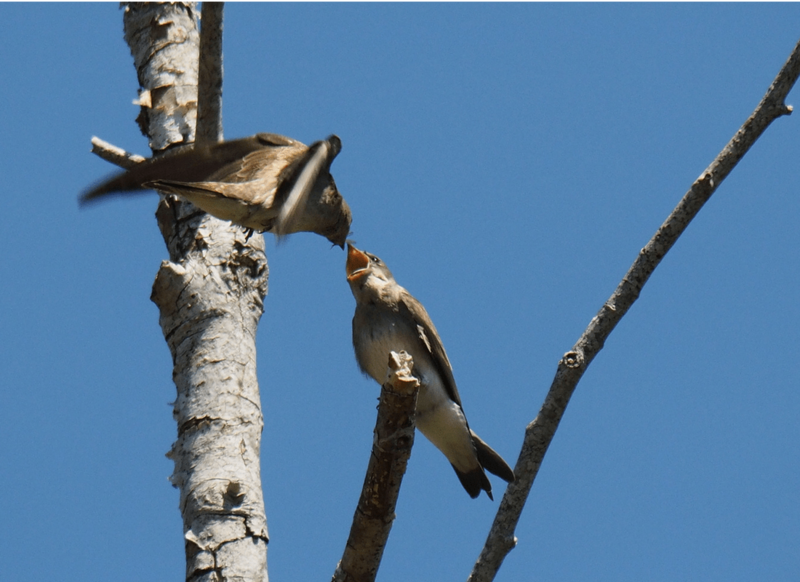 Once fed, the parent heads off to get them another bug. I know… I know, the parent looks like it’s flying towards the juvenile, but in fact, it flew behind it and then back towards it. You can see that the juvenile isn’t looking very interested hasn’t assumed its feeding position. 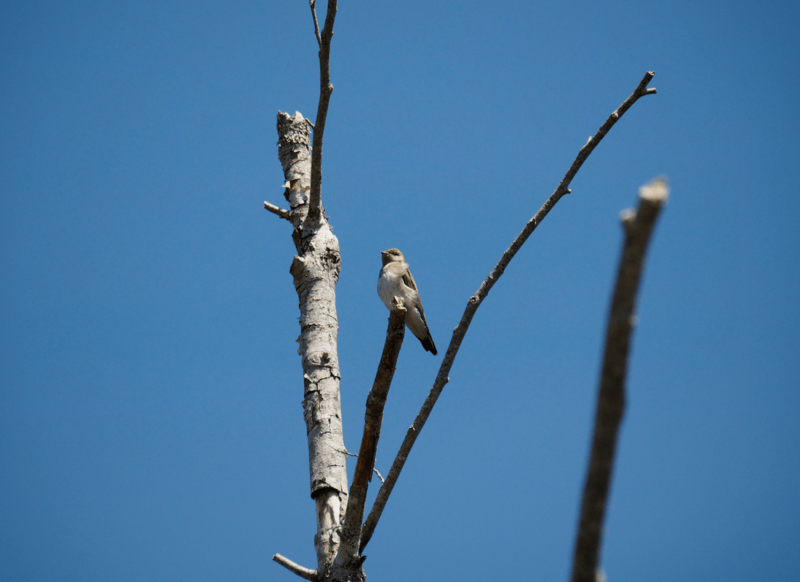 When all is said and done, the juvenile sits on the branch patiently or impatiently awaiting its next bug. It’s a tough life. The name comes from the fact that the outer wing feathers have small hooks or tiny serrations on their front edges. 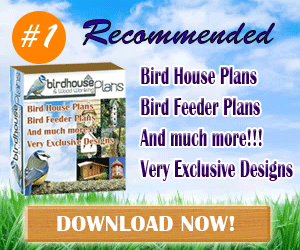 This can only be seen when the bird is up close like if they have been caught to band. 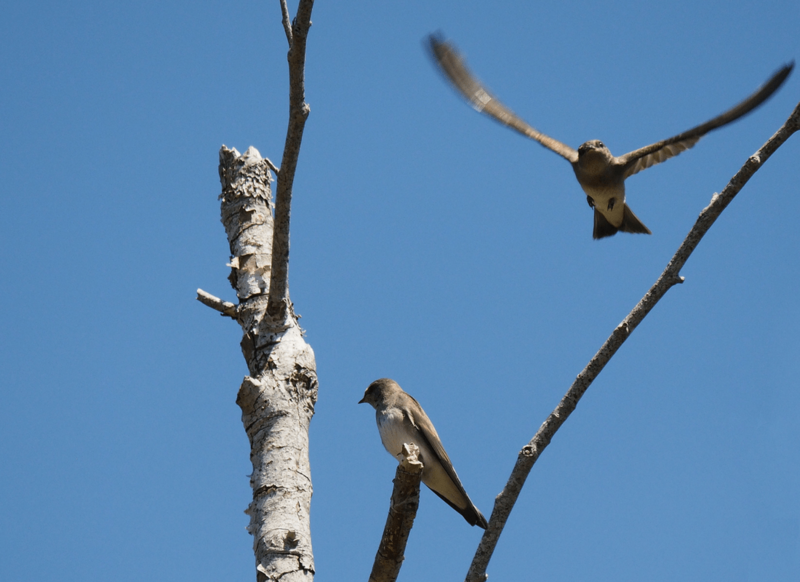 the young leave the nest in about 19-20 days and continue to get fed a few days after they leave the nest. This must have been just when I saw them.